Bully For You, Tracy Morgan » I Mean…What?!? I did a piece on Bullying last year, around the time I was on the committee for Stomp Out Bullying. Seems like this conversation will never end so I am hereby reissuing it below. As someone who was bullied, it is my responsibility to continue to speak out against it. 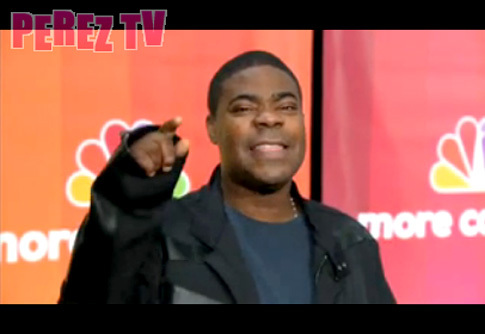 In regards to the Tracy Morgan flap, who surely spoke like a douche bag, he also happened to crack a hilarious joke. One of my saving graces during my bullying years was my ability to laugh in the face of danger. Humor is a great weapon against bullies. 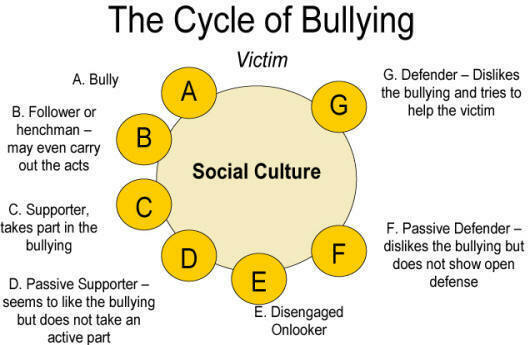 Bullies are an unfortunate evil that permeate our society. Many of them grow up to be losers, while some go onto becoming successful politicians such as Karl Rove and David Axelrod or uber-agents in Hollywood. Nothing is more horrendous than the news that kids are committing suicide as a result of being bullied. Nothing. Not Tea Baggers in Congress, not John Boehner’s orange skin tone, not anything. We do not choose to be bullied. It happens to us. As a short, fat, four-eyed Jewish kid, I was bullied beyond. Granted, the idea of suicide never crossed my mind, rather I chose instead to sharpen my tongue and lash out with below the belt one-liners…and sell drugs…a sure way to be accepted. But prior to that, being ridiculed for being fat was unbearable. Being ostracized for being Jewish in a small predominantly blue collar, Catholic, lower-middle-class neighborhood was stupefying. Why? My parents survived the Holocaust, they came to the United States in search of a new life. They fled the Lower East Side ghetto and moved us to Weehawken, New Jersey. (No moving on up there.) They witnessed their pride and joy (what else am I going to refer to myself as) being bullied by a bunch of goy-ish children of alcoholic decent. It was daunting, but I survived. Finally, there is one redeeming quality to the 24-hour news cycle with endless talking heads since they have chosen to address the tragic issue of Bullying. I saw Madonna on Ellen talk about this, Anderson Cooper has taken a stand and Oprah is doing her part. But what would deter bullies besides just talking about it? Glee depicted a bully as being a closet case. That was fierce…and most likely the truth in many cases. But I have a much better idea. Why doesn’t MTV do a reality show called The Rack. Each week, a bully is brought to the Times Square studio and is put on a rack and tortured. And the kid that was bullied gets to torment the bully with a feather. Come on. It’s genius. Let’s face it, we can talk all day long. But what will change human nature? Torture. Nothing short of that will do anything to change those people who take pleasure in other people’s pain…and I am not talking about sexually. SIDE BAR: I wrote a piece this summer about how JWoww from Jersey Shore is such a horrible bully and so disturbing. Granted, she was bullying Angelina…but still. There is an expression, “Fight fire with fire” and another one that suggests “An eye for an eye”. You have to grab the bully by the horns and ride those suckers…right into a wall. I don't think comedians should be censor. They pick on everyone including gays.